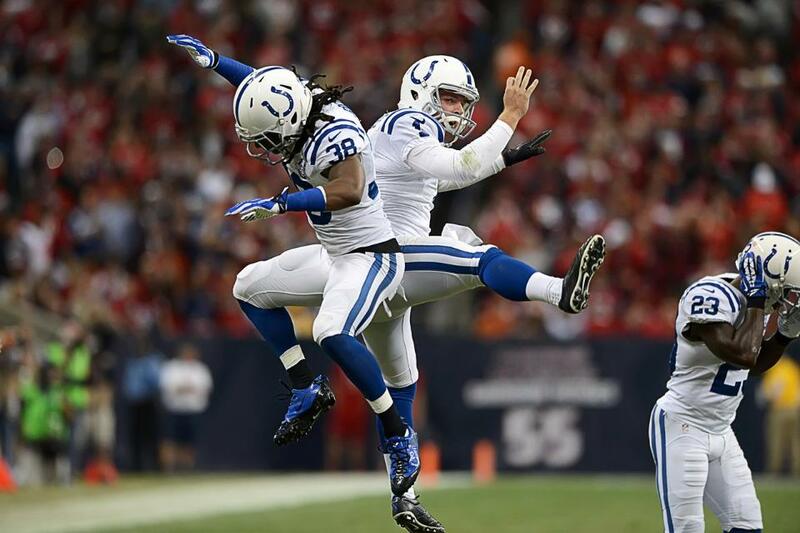 The Indianapolis Colts today agreed to terms with punter Pat McAfee. McAfee punted 76 times for 3,499 yards (46.0 avg., 38.5 net) in 2013 and set a franchise single-season record with 27 punts pinned inside the 20-yard line, breaking his previous record of 26 in 2012. He also set a single-game franchise record with six punts pinned inside the 20 in Week 7 against Denver. McAfee handled 86 kickoffs during the season, resulting in 41 touchbacks. In two postseason games, he totaled six punts for 310 yards (51.7 avg., 44.7 net). McAfee holds Colts career records in kickoffs (387), kickoff touchbacks (164), punting gross average (45.6) and punting net average (38.4). He also ranks fourth in franchise history in career punts (366) and punting yards (16,685) and third in punts inside the 20 (116). In 2012, McAfee set franchise single-season records for gross punting average (48.2), net punting average (40.3) and games averaging 50-plus gross yards per punt (five) while tying the record for kickoff touchbacks (45). In 2009, he was named to the PFW/PFWA and The Sporting News NFL All-Rookie Teams. McAfee was originally selected by the Colts in the seventh round (222nd overall) of the 2009 NFL Draft out of West Virginia University. What did a few Colts players think of the Michael Sam news? Last year when the NFL Combine invaded Lucas Oil Stadium, the hoard of media waited…and waited for the press conference of former Notre Dame linebacker Manti Te’o. Prior to Sunday night it looked like Johnny Manziel’s 2014 combine press conference would rival that of Te’o. But now that distinction belongs to Missouri defensive end Michael Sam. Sam was one of the most dominant players in college football last year. He had 11.5 sacks in 2013 and was named the SEC Defensive Player of the Year for a Tigers team that captured the Cotton Bowl. NFL draft pundits have the 260-pound Sam projected to be drafted in the later rounds of the 2014 draft. Below are a few excerpts of Sam’s article in the New York Times. Also, a few Colts players went to Twitter to express their support for Sam deciding to come out a week and a half before the Combine. Do the Colts have a Pro Bowler in gunner Sergio Brown? While the names Andrew Luck and Robert Mathis will appear on many Pro Bowl ballots, there’s another Colts player that certainly deserves a consideration. Sergio Brown might not be a household name but what he has done to flip field position for the Colts this year has been noticed. As one of the Colts gunners, Brown has forced numerous fair catches and downed several punts inside of the opponent’s 10-yard line. On Sunday, Brown downed a punt at the Houston one-yard line and drew a holding penalty that pushed the Texans back to their own 33-yard line for the game’s final drive. Brown has five solo special teams tackles on the year. Special teams coach Tom McMahon also gives his guys a “tackle” for any player that forces a fair catch or downs a punt inside the opponent’s 10-yard line. “Sergio is consistent,” McMahon says. “The best thing he does is he gets all the way down and then he looks late (meaning his back is facing the opponent’s goal line before turning around to find the ball). 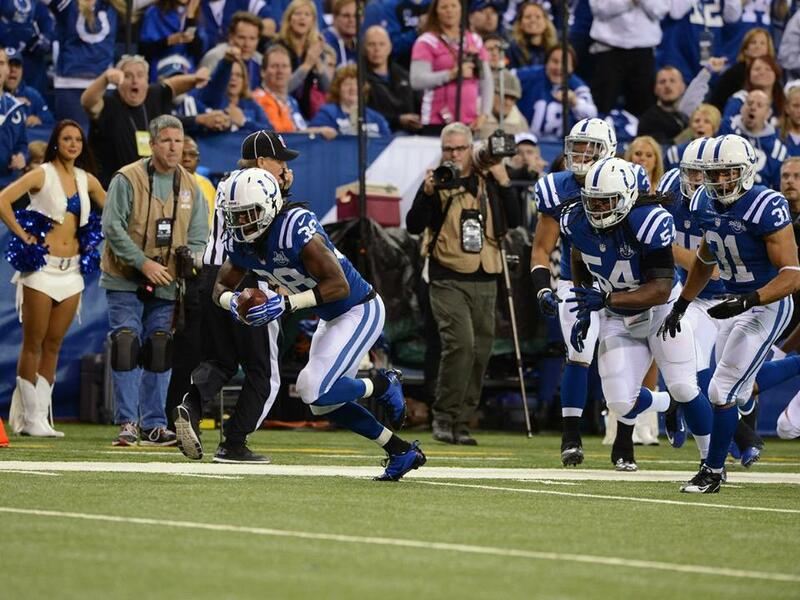 The combination of McAfee and Brown has allowed the Colts to win the hidden yardage debate at critical times. And what does McAfee think of Brown?